My six days in Haiti by no means made me a “changed” person. It didn’t make me an expert on the problems the country faces. My trip also did not make me an authority on Haiti’s land — its wild terrain and beaches — and the beautiful people who inhabit it. My six days in Haiti, however, did give me a glimpse of and inspired me to form a relationship with the country and the people there. My time spent there allowed me to re-evaluate issues surrounding nonprofit work, how to view and treat people, and, ultimately, to love. I am writing this post as a tribute not only to the people in Haiti, but also to my friends who have supported and encouraged me to follow my passions through monetary means, but also through your personal love and encouragement. Here is a little of what I experienced. To see first-hand our current projects and their impact in the two areas where we currently work: Port Au Prince and Cayes Jacmel. In these two places, I was able to visit schools that have had locally installed water filtration systems and see how it helped the children there. Surge’s grassroots organizational structure also requires all the work that we do in every country to employ as much local labor as possible, which additionally helps the empower the people. It improves the economic position of our community members and also ensures that they can continue to source and maintain the solutions themselves versus dependency on foreign aid. To teach our WASH (Water, Sanitation, and Hygiene) program. One of the biggest issues that Haiti faces is the lack of waste services and sanitation education that causes disease to spread throughout cities. 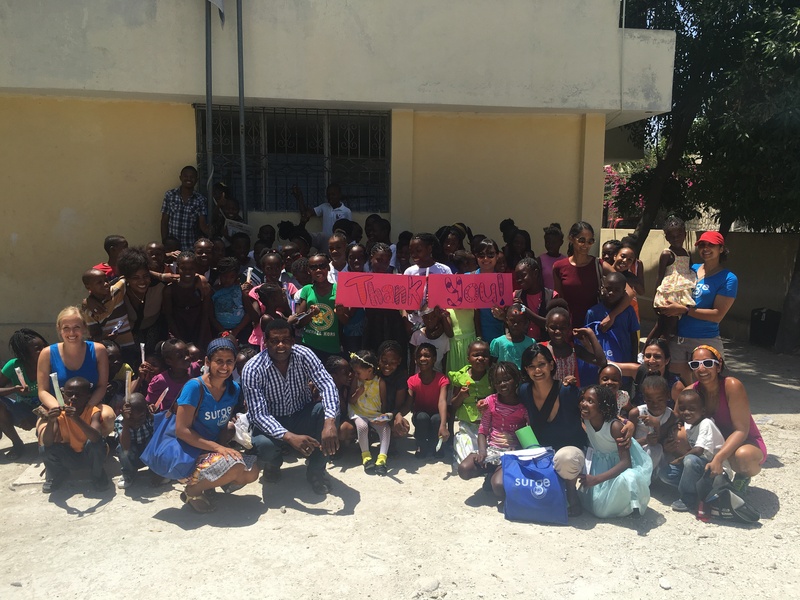 Our team of Surgers visited various partner schools to teach Haitian youth where to throw trash, how to properly wash their hands to prevent diseases, and where to wash clothes/bathe to prevent downstream water contamination in rivers and streams. WASH education is one of the most critical components in our programming as it drives behavior change which in turn improves lives. To work in partnership with local community and government leaders. This, from what I’ve seen, is essential to international development work. As foreigners (albeit with the best of intentions), we lack intimate knowledge of the complex issues surrounding the communities we work in, and how to best solve those problems. Surge’s intentional relationship with local community and government leaders allows us to find long lasting and sustainable solutions to each unique water issue in every home, village, and city where we work. During this specific trip, we met a local women’s community group, the leaders of our partner organization ASSLHA (who we greatly rely on to implement Surge’s projects in Cayes Jacmel), and the mayor of Cayes Jacmel. Their alignment on our mission and goals was an important step towards working together to make Haiti a better place for its people. To plan new Surge projects. The Surge team climbed 2 hours uphill (!) to visit Corail Ana, a remote village in the mountains, to visit the people there. It took Shilpa, our executive director, a year to find the village and obtain a map of the territory to even begin work in that area. Many discouraged her from traveling there because it was too unsafe, remote, and the work needed to be done there was too daunting. Because it was hours away from the closest city, the people in Coreil Ana lacked essential parts of “modern civilization,” such as paved roads, close access to water, and medicine. It didn’t stop Shilpa or Surge, though. To begin work in Coreil Ana, we started by talking with residents there and listened to their needs. They spoke of needing access to water and sanitation/waste systems, which Surge plans to work on in the next few years. We will have to contract local workers who are willing to manually or by donkey carry equipment and materials needed to build appropriate wells, water filters, and/or sanitation systems up the mountain. We will have to work with the changing weather, politics, and people in both Coreil Ana and Cayes Jacmel. Although this will most likely take years, much longer than the work that could be done in larger cities like Port Au Prince, Surge is dedicated to its mission to bringing clean water and sanitation to all. During the six days that I spent in Haiti, we accomplished a surface level of these objectives. 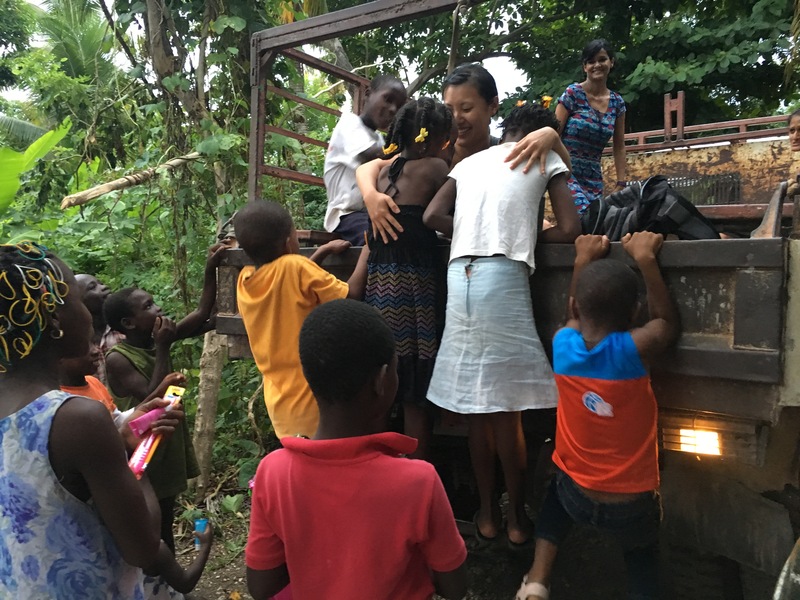 We were able to tap into some of the issues that the people in Port Au Prince and Cayes Jacmel were facing, and found that they were multi-layered, complex, and, sometimes, slow-paced. Haiti, much like many other developing countries, needs sustainable solutions that cannot be solved within a day, a month, or years. Projects to help the people there require dedicated partnerships that even in of itself need time to form trust and effective communication. Surge’s work in especially remote villages require additional resources, cost, and expertise that vary by location and need. We cannot cookie cut the cost/time each issue requires. Most of all, it’s more important that we develop the capacity within the country via our commitment. Our approach always seeks to empower locals to handle their own issues and not need us in the long run. 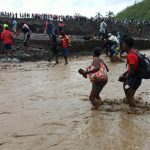 Haiti is a country that has been rampaged with free and temporary aid by various NGOs and nonprofits that have sometimes caused more harm than good. Some attempts have killed local industries (see U.S. rice imports) and created initiatives that are later abandoned. This has taught Surge the importance of continued and intimate relationship with Haitian communities as the path to true change. Finally, my trip to Haiti allowed me to re-evaluate myself. I was conflicted about writing about this piece at first because my intentions of this trip wasn’t to “help myself,” but to help the people in Haiti. 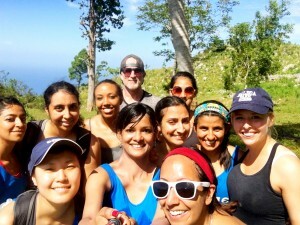 But as extremely cliche as this sounds, my trip to Haiti also recentered and healed my beliefs about people and love. The Haitian people, without much to spare, exuded beauty and resilience upon the first moments of meeting them. It was previously easy for me to take my place only as the benefactor from the Midwest, but my experience dancing, eating, and hugging the community members reminded me of their humanness and repaired my own outlook on life. It reminded me to look at problems from a relationship perspective and make decisions not only with pragmatism, but also with love. I work with Surge not only because Haiti needs help, but also because it is too beautiful of a country with too beautiful of people to be left suffering. 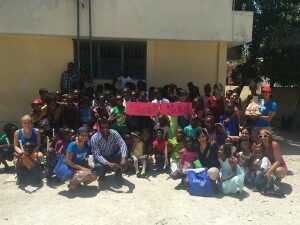 My six days in Haiti were incredible, and I look forward to going back and visiting soon. With love continually in everything that Surge (and hopefully I) do, thank you to everyone again for being a part of not only this trip, but also my journey through various moments in life. 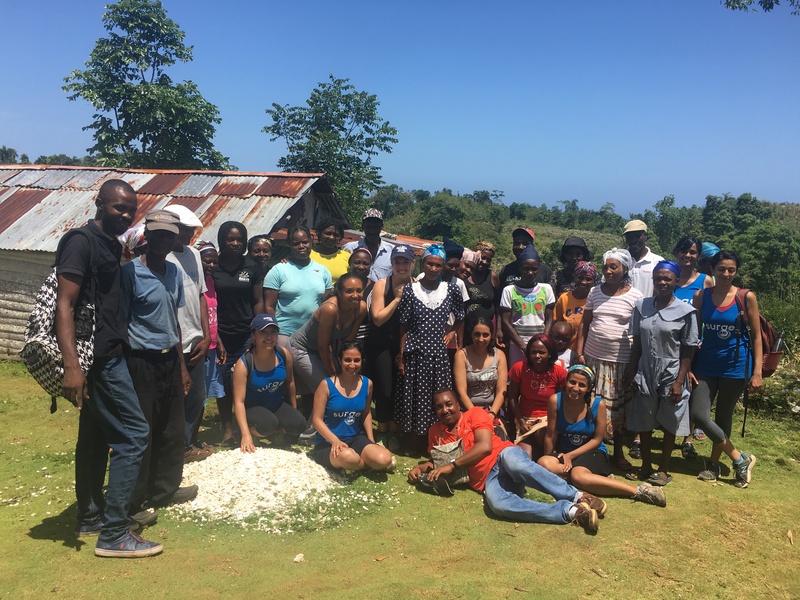 Want to support Surge’s work in Haiti? Donate here. Any amount makes a difference.